We are looking for Residential Mentors at Charlotte Court and Bramall Court from September 2018 – July 2019. Living away from home whilst studying can be a challenging time for many students but can also be very rewarding and many friendships forged in our halls are for life. SHU Residential Mentors work as volunteers collaboratively with the university’s student support services, Students Union, Hallam Active, halls’ site staff and external agencies to build communities within our halls, provide support and information about university services and arrange and communicate social events available to other hall residents. 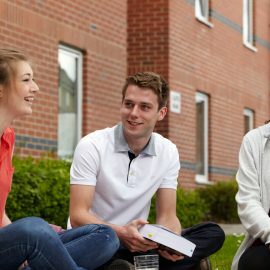 All Residential Mentors are required to live on-site in either Bramall or Charlotte Court and must be fully enrolled students of Sheffield Hallam University. If you are interested in taking part in the Residential Mentoring programme, you will need to fill in an expression of interest form. Please return this form and all required supporting documentation to residentialsupport@shu.ac.uk by the closing date Friday 27th April 2018. Please note that a reference from your academic adviser/personal tutor will be required with your application. The selection event for this role will be held on Wednesday 16th May 2018.